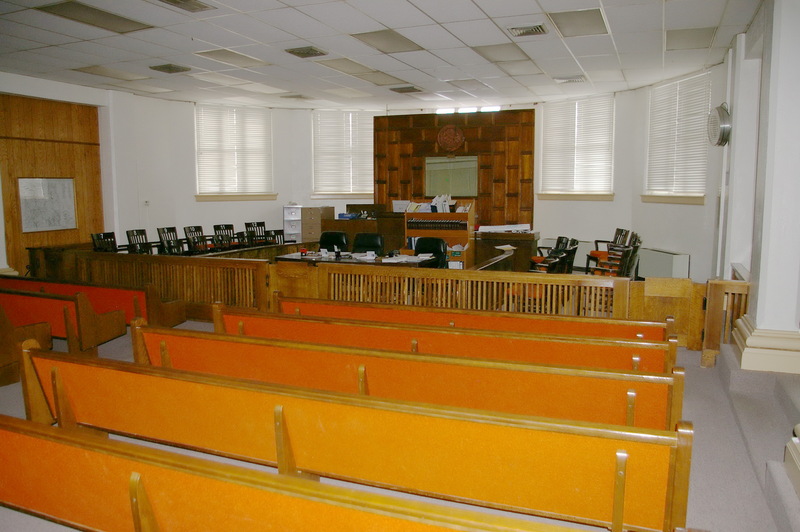 Barry County is named for William Taylor Barry, who was a jurist and the United States Postmaster General. 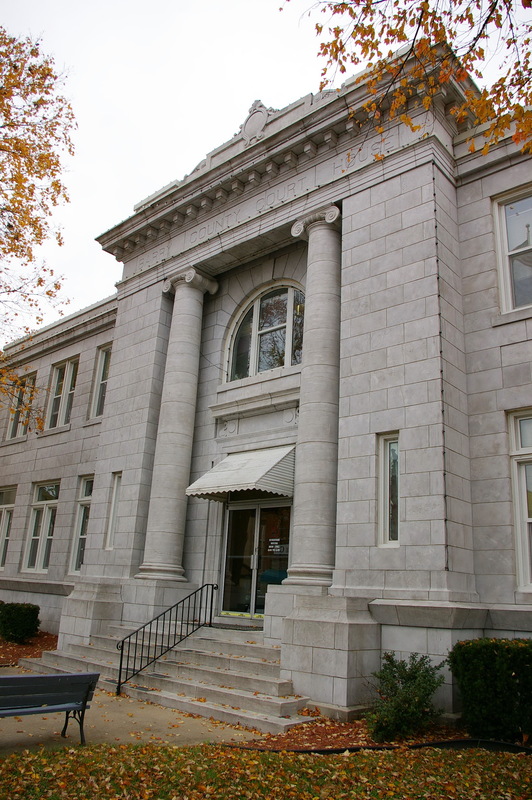 Description: The building faces south and is a two story stone veneer and concrete structure. The building is 84 by 100 feet. The south front has a projecting centre section with two large columns rising to the top of the second story with a wide header which extends above the flat roof line. Cornices run below the roof line and below the first story windows. 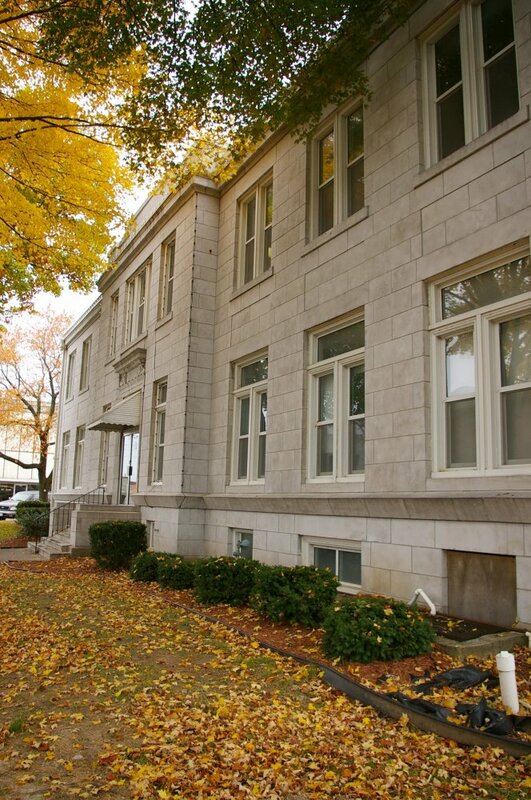 On the north side, a five window bay extends from the building at the courtroom. 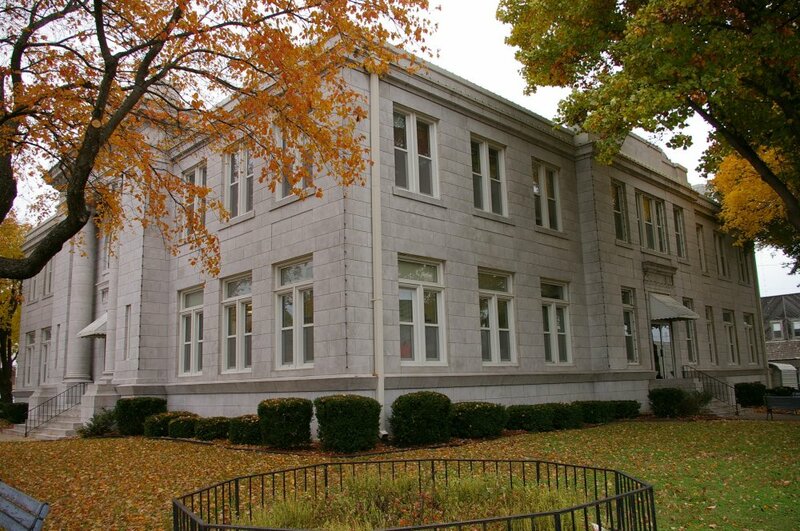 See: The architect, Henry H Hohenschild, also designed courthouses in Christian County, Pemiscot County and Scott County. 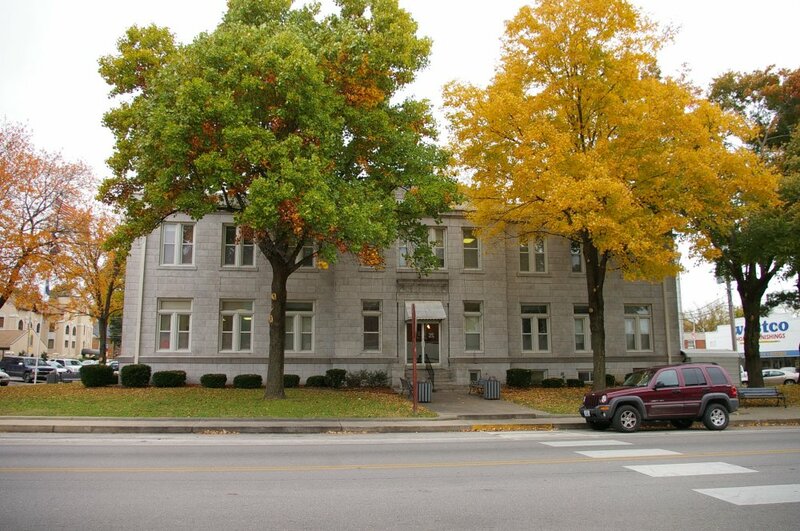 Note: The first courthouse was built in Mount Pleasant in 1837. 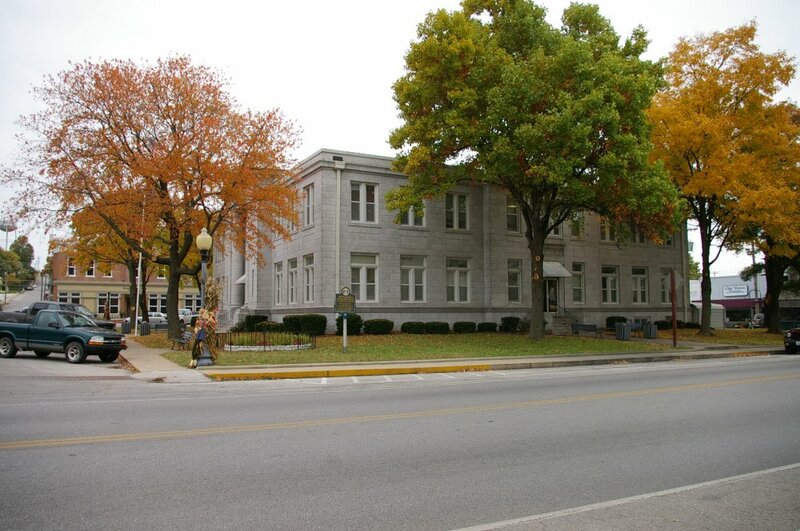 The next courthouse was built in Cassville in 1846 for a cost of 510 with John O Burton as superintendent. 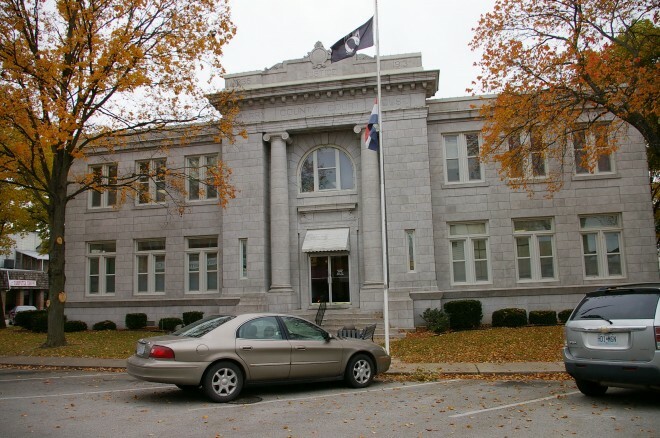 The second courthouse in Cassville was built by William Young and Abner Neely for $4,995 in 1855 to 1858. The building was razed in 1910. 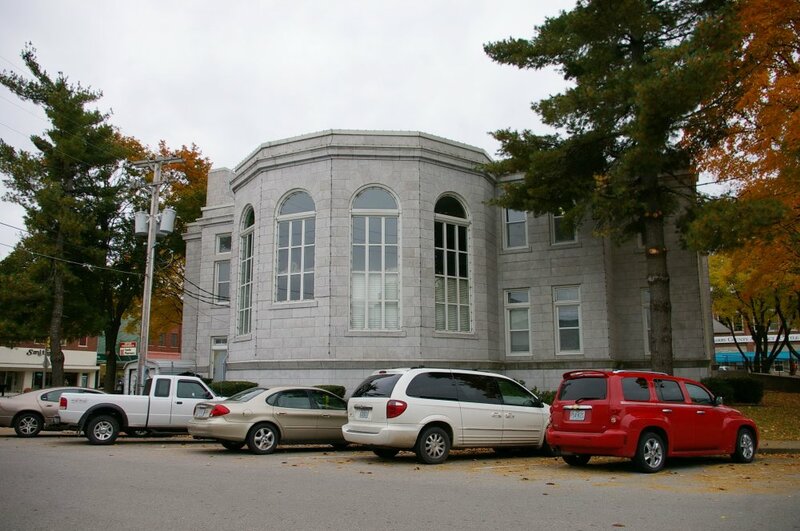 The cost of construction of the present courthouse was $45,720.